Beautiful location and cottages are amazing.. Great place for families & couples.. We will be back Caroline! We arrived to the cottages and the owner had cake and biscuits there for our arrival. Tea and coffee, Milk and juice. Toys for kids. Dvds aswell. The place was very clean indeed. Wifi was fantastic. Really fast. Wonderful stay here. Would really recommend. Clougherhead beach is a must to go to. Fantastic. This was a great cottage with lots of room, great internet, all the kitchen equipment, room outside for kids (we didn't have any), and so peaceful and quiet. With gorgeous views over the adjacent acres of land, the beautifully and lovingly restored Drummeenagh Cottages offer the perfect escape for a few days of calming and restorative rest and relaxation. Less than an hour from Dublin in one direction and just over an hour to Belfast in the other, Drummeenagh is also in a perfect location from which to explore this part of Ireland. We went for a drive on our first night to pick up some groceries for our stay (though Caroline had made sure the essentials – and some treats! – were already waiting for us) and happily stumbled upon the lovely seaside village of Blackrock within five minutes before driving a bit further to witness sunset over the ancient ruins of Roche Castle. On another evening, we enjoyed a cozy and quiet meal at The Glyde Inn pub on the River Glyde in the village of Annagassan, also a short drive away from the cottages. All of that and more are within easy access, provided you actually want to leave the cottages! The fact that I have a family connection to the history to Drummeenagh (my grandfather was born in an upstairs bedroom of the main house in the early 1900’s) just makes an already special place all the more special for me. The home and cottages have long since left my family and are now in the loving and caring hands of Caroline and Paul, who make the perfect custodians and were beyond helpful in making sure our stay was a wonderful one, down to planting my mom and aunts’ favorite flowers outside of the cottage we stayed in. They were also happy to take the time to share their knowledge of the home’s history with us, and eager to hear what my mom and aunts knew about the history of Drummeenagh during their father’s time growing up in the main house. 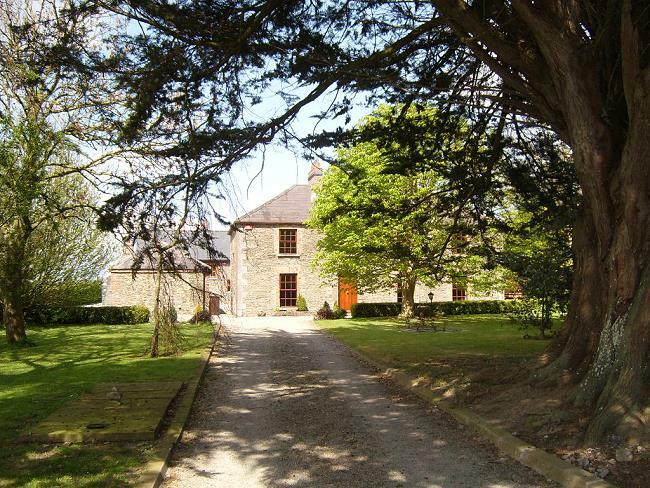 Even if I didn’t have a past connection to Drummeenagh, I would without hesitation recommend the cottages as a truly beautiful and special place to stay. In fact, I am hoping to return with a group of friends in the near future! We are a family of five and have stayed at Drummeenagh Cottages over the Christmas period for the last two years. Caroline is the most welcoming host ever, so lovely and so very helpful. Everything about the cottage is exceptional. It is clean, modern and roomy and fully equipped for a really comfortable stay. It is great value and in a very convenient location. I could go on but suffice to say we love it that much that we will return again this year! I had the pleasure of enjoying the comfort and peace of these amazing cottages in September 2016. Location is perfect, being a short drive from both Dundalk and Drogheda towns and with easy motorway access to Dublin and Belfast. But the best part for me was always coming back to the tranquility provided by my 'home from home' each evening to recharge. Caroline is an amazing host, friendly caring and respectful and she has created a little oasis with these lovely homes. I will most definitely be back. 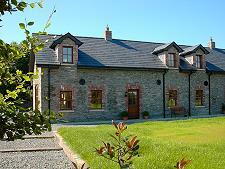 We had a great stay at Drumeenagh cottages. Caroline was very helpful. Very near to Dundalk and an easy journey into Dublin or Drogheda. Looking forward to our next trip. Cannot speak highly enough of Caroline and her hospitality during our month-long stay at Drummeenagh Cottages. The cottage was very spacious, very homely, and provided everything we needed. Plenty of room for the kids to play (inside and outside) and we were very happy & comfortable for the duration of our stay. Will stay here again when we return to Ireland. We stayed at the Cottages in August 2016. The cottage is absolutely immaculate with a very cozy feel to it and a large living space for my family of 4. Caroline is an excellent host who attended to us throughout our stay. 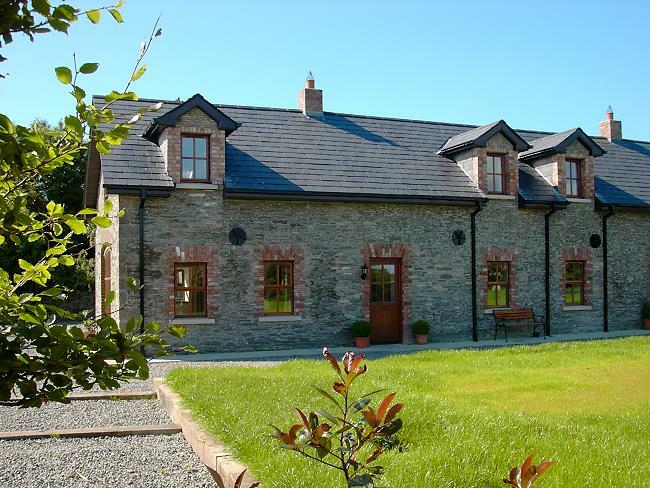 I would highly recommend Drummeenagh Cottages as it is close to the main highway (M1) and very easy to get around the entire Eastern side of Ireland. We traveled up to the Causeway and down to Dublin. A perfect place to spend our time there and enjoy the beauty of Ireland. Thank you to Caroline for making our stay in Ireland so warm. I also, highly recommend Foley's just a short ride down the road for an absolutely perfect Irish breakfast. We just stayed at this excellent accomodation during the last week. It was our first stay in Ireland and we had our handicapped daughter with us. The charming houses oft the 18th century were excellently renovated and everything is new and very,very clean.We found everything we needed in the kitchen and we enjoyed our meals there looking at the rural area.The beds were very comfortable and we had a nice view to the fields. It was very calm there-the only noise was sometimes the wind and a few raindrops.Caroline and Paul supported us in any possible way if we had a problem in the house or looking for a good restaurant. The guest folder implied many useful informations. 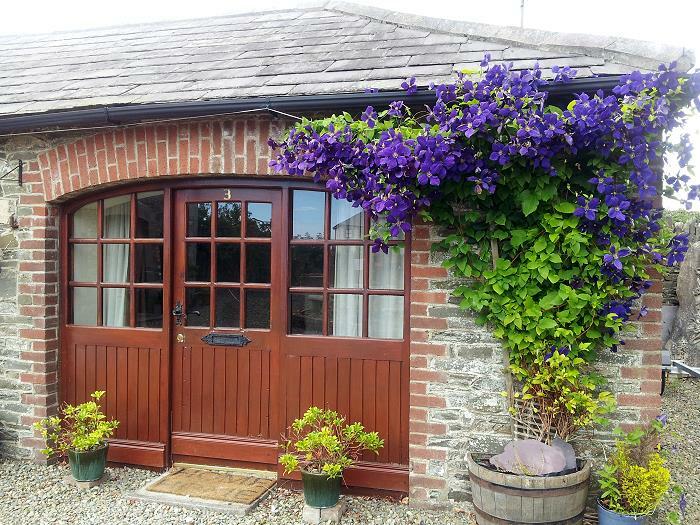 The cottages are yery well located for visits to Dublin and the heritage sights as well as for trips to the north. To say it shortly:It was a perfect week in the east part oft Ireland-thanks for all your hospitaliy! 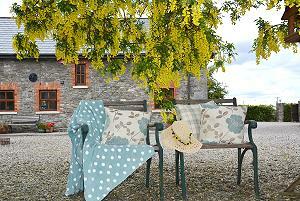 The Drummeenagh Cottages in Castlebellingham was the most perfect of places I could`ve asked for. Strategic location for all our day trips we had planned during our 12 days in Ireland. Quiet surroundings provided ideal sleeping conditions. The cottage was very clean and spacious for our family of 4. Fully equipped kitchen saved us money from eating in restaurants all the time.The decor was quite impressive as well as the look of the 18th century stone work. It was our vacation castle and made our trip to Ireland all that more enjoyable. Caroline was always there for us if we needed her and made sure we had everything we needed. Would most definitely recommend this place to friends and associates. I would stay here again if I ever visit Ireland in the future. Great place to stay and to relax, Thank you Caroline for warm welcome. You made us feel like home! 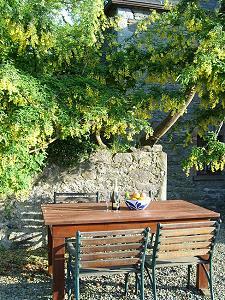 We love the house, it is so pretty, and it exceeded our expectations, great accommodation. Lots of places to see and beautiful spots to see in the countryside. The perfect holiday place. Thanks from Sebastian, Lucie and Wiebue. Berlin, Germany. First class accommodation, especially the under floor heating in bathrooms. Ardee was a friendly town to visit and we enjoyed the gardens at Knockabbey Castle. Beaulieu house was worth a visit And the Mourne Mountains make a nice drive and walk. A very comfortable and well equipped cottage. We enjoyed our first stay in Ireland. It was good visiting the Giants Causeway and Carligford. We also went to Newgrange and the Guinness store in Dublin. This is definitely the nicest place we have stayed in so far! The cottage is very comfortable and thorough fully equipped with every travellers need. Caroline and Paul were very helpful with all our enquires, email access was excellent. We thoroughly enjoyed our stay. We wish them all the very best for the future and will definitely will recommend the cottages to our friends and our Travel Agent. The Morris and Doolan Families.